Tree marking, simply put, is usually the difference between sustainable forest management and destructive harvesting. Tree marking is appropriate for any “partial harvest” system. In the forests of southern and central Ontario, sustainable harvesting involves taking some trees while leaving others to continue and improve the stand. Tree marking is the process of choosing which trees to take, but most importantly which ones to leave behind. Too often, one hears stories of a landowner who was taken advantage of in a harvest operation. These are usually the minority of cases, but they definitely are the stories that get repeated. Almost always, this involves a transaction where no forester was used and where no tree marking took place. These are always heartbreaking to hear as usually the cost of these services would have been far outweighed by the additional revenue for the landowner, as well as there still being a healthy and productive forest to partially harvest again in 15-20 years. Once the tree is cut you cannot put it back. Tree marking allows for you to know what you are selling ahead of time, that it was chosen based on your stated objectives and in the best interest of the landowner and forest health, and that harvest tree choice was made by someone with no financial interest in which tree to take or leave. 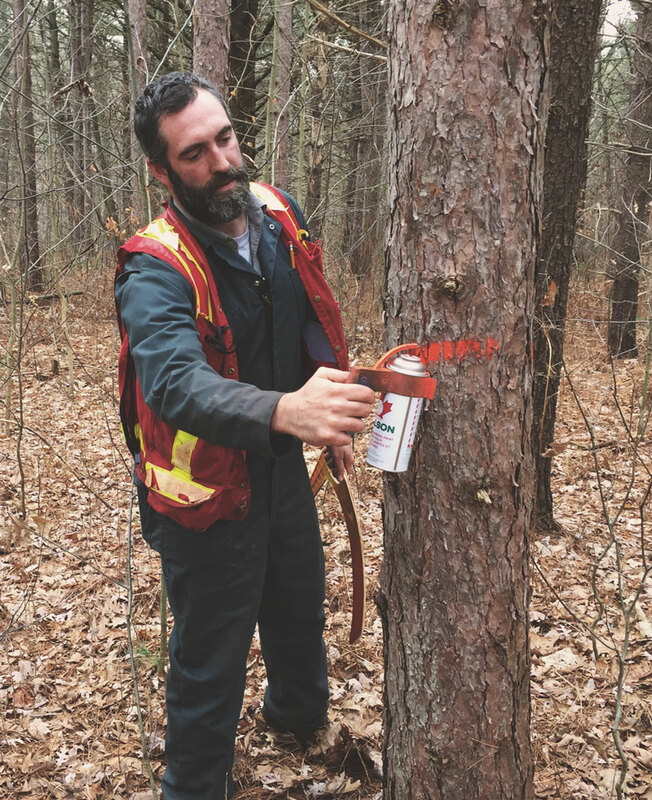 Certified tree markers work to a strict code of ethics that is further reinforced by working off a stamped prescription from a professional forester working for the landowner. For more information on tree marking, please see the excellent #ittakesaforest video as well as the Ontario Tree Marker Training website.